No matter our age, we want our home to be a sanctuary — a place where we can unwind at the end of a long day, entertain friends and family in style, and feel secure not only in our surroundings but also in our investment. And we want it all close to the heart of the city. Urban Flats is in the business of building these kinds of places: quality condominiums in metropolitan areas for buyers who want luxury, value, and security no matter their marital status or stage in life. Two of the properties,Oaks on Caroline and Museum Flats in Houston’s desirable Museum District, fit the housing bill for the city’s most discerning home seekers, from young professionals just starting their careers to retired couples who need a place to land on the weekends. One buyer, a 28-year-old male professional in the oil and gas industry, recently completed his masters in engineering at Rice University. Although he travels for work often, his office is downtown, so he appreciates the short commute that Oakes on Caroline will provide. A member at a nearby country club where he works out, he also plays golf at Hermann Park Golf Course and uses the light rail to get to and from the city’s hottest events. He bought his Museum District condo because he will be able to lock it up and leave worry-free, and he doesn’t have to concern himself with the maintenance normally associated with home ownership. “You can make spontaneous decisions,” he says of the proximity to the light rail, which provides access to entertainment destinations like Minute Maid Park and NRG Stadium. Another buyer, a 35-year-old woman and her husband, are both local doctors. The couple bought at Oakes on Caroline because not only is it conveniently located near the medical center where they work, but also because they come and go at odd times of the day and night, so security is their No. 1 priority. A secure parking garage, equipped with cameras, will provide the safety that she requires. Whether she’s off to the hospital early in the morning, coming home from an extended overnight shift, or merely shuttling her daughter to and from preschool, she is comforted in knowing that her home will be a safe place. Countless Houstonians choose to live out their retirements in vacation homes across the globe, but many still need to sustain a smaller abode for when they return to visit family and friends who continue to call the city home. Such is the case with Cam Collins, who bought a condominium at Oakes on Caroline to provide a home base when travels back and forth to see his kids and grandkids. Inspired by the Texas Hill Country, Oaks on Caroline is a modern mid-rise located on a tree-lined street just steps away from the heart of the Museum District. You can see the quality craftsmanship in every detail of the one- and two-bedroom condominiums, available in seven spacious floor plans ranging from 1,073 to 1,679 square feet. Details include 10- or 12-foot ceilings, stainless steel kitchen appliances, natural stone countertops, designer hardware, beautiful bath fixtures, and private balconies with picturesque views of the area. Comfort and energy efficiency have not been sacrificed for style: Bosch appliances — even washers and dryers — are included with every unit, and noise-reducing double-paned windows with low-e glass ensure utility bills stay modest. Speaking of modesty, you won’t get over the price — from the $380,000s to the $600,000s, with astonishingly low HOA fees. Already the community is 60 percent sold, but many exceptional floor plans remain at pre-completion pricing. Oaks on Caroline is expected to open in January 2016. 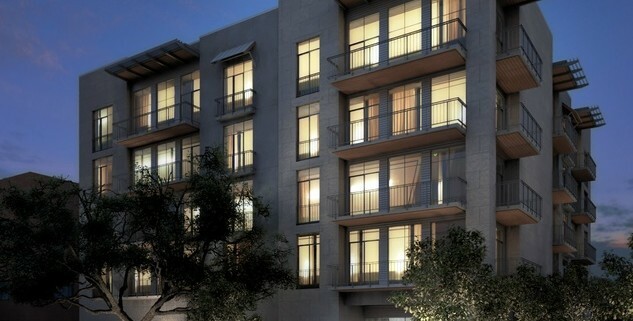 Museum Flats is just the latest in upscale metropolitan living, and it will break ground soon in the suddenly hot Almeda corridor just steps from Hermann Park. 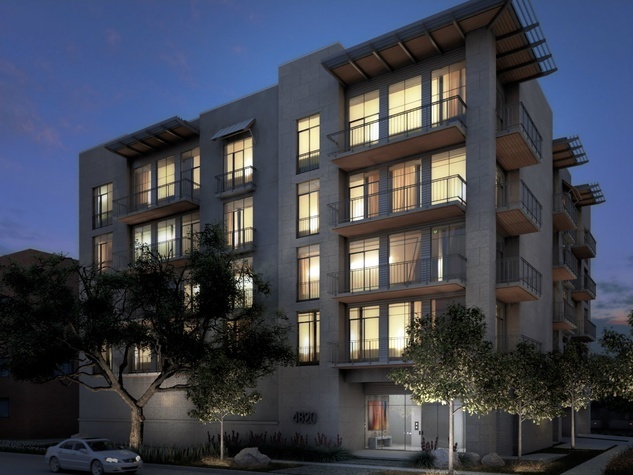 The six-story mid-rise mixes refined European aesthetics with rustic Hill Country elements and boasts interior details and features similar to those at Oaks at Caroline. With a target completion date of late 2016, buyers have their choice of condo location, floor plan, and finishes. Both properties are ideally situated just moments from scenic running and biking trails; Houston’s top museums, attractions and restaurants; Texas Medical Center; and Metrorail. Everything is within reach when you choose to live in the heart of the city. For a limited time, you can customize your Oaks on Caroline condo with up to $10,000 in complimentary upgrades*. Make your new home your own, with your choice of granite, fixtures, flooring, and more. For more details and information, contact the professionals at Peek Realty at 281-749-1298. *Complimentary upgrade offer valid through November 30, 2015 with an accepted contract. Some restrictions may apply.